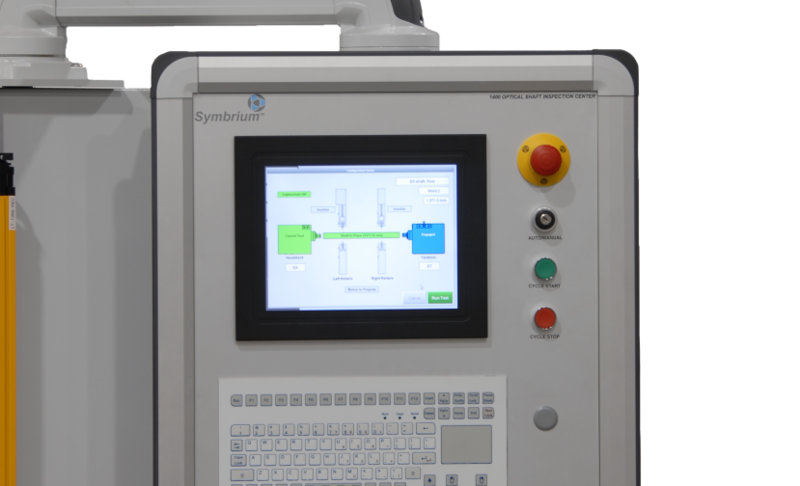 Symbrium is a machine builder with full Panel Build, PLC, HMI, DAQ, SCADA, Database and Software Development capabilities. We self-certify to UL 508 standards and can supply equipment that conforms to CE standards as required. One particularly unique trait that sets Symbrium apart from other machine builders is our extensive software development capabilities by leveraging the 40 year heritage of our Factory Systems team. We are a powerful machine builder who is equally strong at software and controls. As a supplier of machines and systems to a global community, Symbrium recognizes that we must be flexible in order to satisfy our diverse clientele, many of whom have internal preferences and standards for software, controls and data base schemas. We have adopted a platform independence model. Rather than embrace one particular brand of Programmable Logic Controller or develop Human Machine Interfaces using one application, we keep an open mind. Of course we have our preferences, but we will not complain nor charge you an arm and a leg to develop or re-develop most apps using Brand Y over Brand X.
Symbrium has decades of experience developing large scale applications within the dot.net framework. We develop code in C, C++, C#, Java, Python and many other languages as well as support legacy applications in VB, Fortran and other relics. We have extensive data base experience at the local and enterprise level. Our flagship FS Works and FS Net applications work equally well with Oracle and SQL variants. Symbrium is first and foremost a custom solutions provider. We recognize the need for flexibility in the markets we choose to serve. We will roll up our sleeves without hesitation and learn new a hardware platform or software language without complaining. By remaining open minded and working with different systems on a project by project basis, our engineers and developers are more agile and can do this much more quickly and efficiently than other machine builders who lack resources and limit themselves via alliances with distribution partners.